Have you had any bad days recently? You know, the kind where there seems to be a black could over your head? Those are probably the days when you didn’t get a good sleep. We don’t tend to think much about sleep until we aren’t getting enough – and then that’s all we can think about. Most obviously, sleep helps regenerate your energy. When you don’t get sleep, it’s natural to feel groggy and fatigued. But energy isn’t the only thing that suffers when you don’t get a good night’s rest. Sleep offers a time for the body to naturally detoxify and regenerate cells. It’s an important part of keeping your mind and body healthy. This is why you may suffer from a weakened immune system when you don’t get enough sleep. It’s also why you may have trouble thinking clearly or remembering things when you haven’t slept well. Some people need more sleep than others, but everyone needs some. It doesn’t matter who you are or where you come from; sleep is essential to your life. Fortunately, there are a few things you can do if you aren’t getting enough shut-eye. Our bodies are designed for sleep, but modern life often gets in the way. We’re constantly stimulated by our surroundings and available technologies, so it can be difficult to wind down. But with appropriate sleep hygiene, you may find it easier to drift off to dreamland (and stay there). Many people rely on alcohol to help them unwind and relax before bedtime. But alcohol can actually interfere with your sleep instead of helping. That glass of wine or whiskey may help you fall asleep, but you’re not likely to spend as much time in the REM sleep stages as you would if you didn’t imbibe. This is one of the reasons why you’ll feel exhausted after a night of heavy drinking. You probably aren’t sleeping as well as you think you are. There is some truth to what those mattress salespeople are telling you. If your mattress is very old or the wrong type for your body, it may be hindering your sleep. Finding the perfect mattress isn’t exactly rocket science either. You know if you’re a soft, firm or moderate mattress kind of person. Just be sure you’re comfortable sleeping on your mattress. With that said, you don’t need to drop a grand on the latest and greatest. As long as your mattress is reasonably comfortable, it’s probably not interfering with your sleep. There is some science to support using white noise to help you drift off to sleep. White noise works by reducing the difference between the background noise and any possible disturbances. We don’t always notice background noise, but it’s there. It’s the humming of the air conditioner or a slight buzz from the refrigerator running. Maybe it’s the rustling of the trees. White noise brings background noise to a higher level, so any possible disturbances aren’t so severe. Your body wants to sleep, but your habits may be keeping you awake. Sporadic bedtimes can leave your body guessing and your mind racing. But when you schedule a regular bedtime, there are no questions. Your body and mind know it’s time for sleep. It’s also important to wind down before your bedtime. 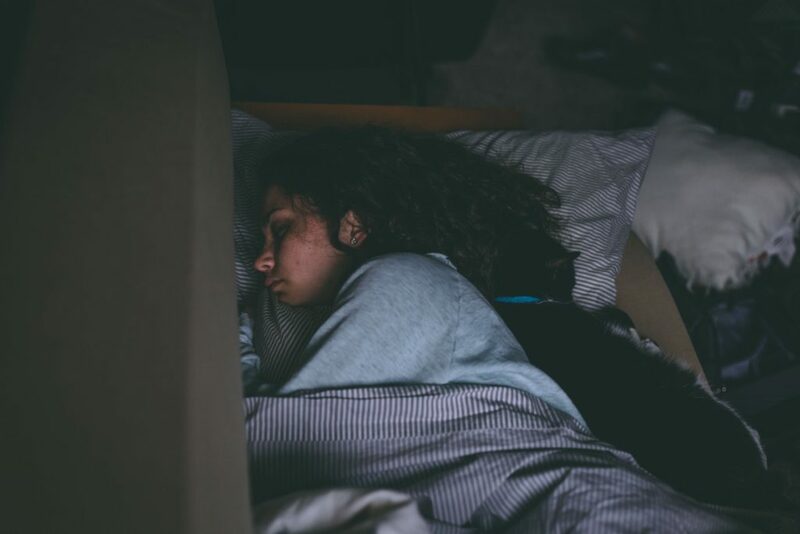 You’ll want to avoid anything that is stressful or mentally taxing before bed. Also, avoid technology. Instead, take a bath or read a book. Do something that relaxes you, and you’ll find it easier to fall asleep. It’s difficult to measure the importance of good sleep, but we always know when it’s lacking. You can instantly improve the quality of your life by improving the quality of your sleep. Start with good sleep hygiene habits to see if you can get more shut-eye. If you’re still not sleeping well, talk to your doctor about why. This is life-changing, after all.